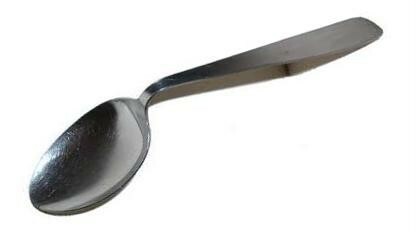 There's nothing more frustrating than trying to scoop out hard ice cream and bending the spoon! You can dig it, you can scrape it, but rock hard re-frozen or homemade ice cream is a nightmare to serve. You can leave it to thaw for a while but that will spoil the flavour and make it even harder next time and eventually it will be thrown out. But not with the new on the market eazi-scoop! 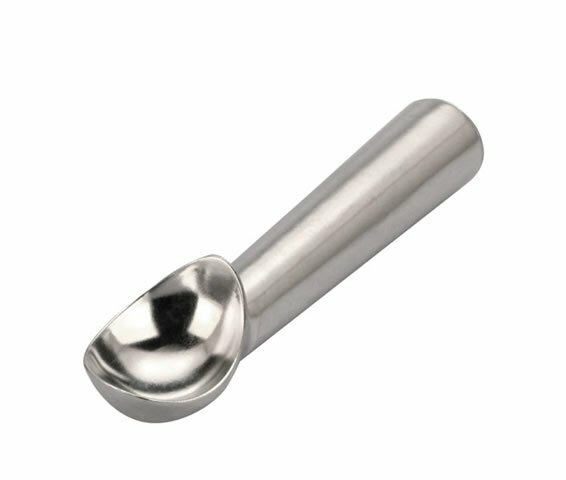 A unique gel filling inside the scoop instantly transfers the heat from your hand around the handle to the end of the scoop without the need to dip into hot water or microwave. 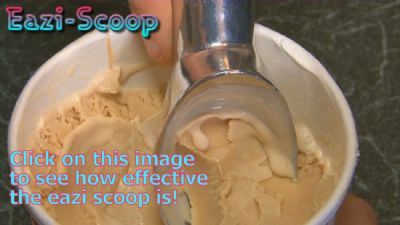 See the video showing how easily and efficiently the scoop slides through the hardest ice cream. 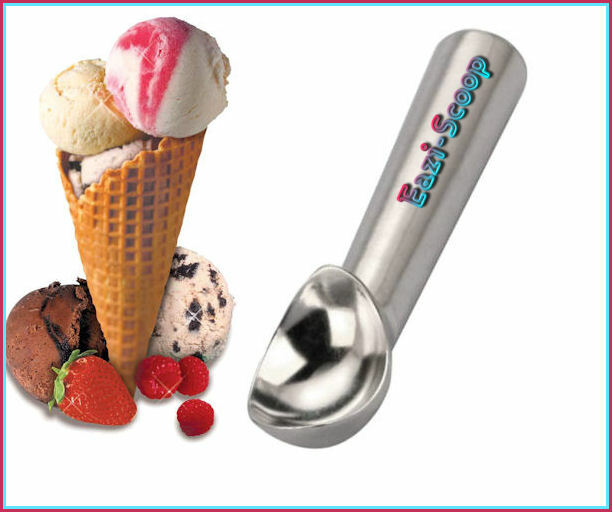 No waste, no frustration, no tears and perfectly served ice cream with Eazi Scoop. 7 ins length The ice cream scoops are 2 fluid ozs - 56mls so they are about 18 portions per litre.